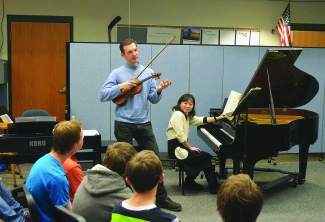 Reiko Aizawa and Jesse Mills, artistic directors of the Alpenglow Chamber Music Festival, visited Summit County in February to perform a concert for festival supporters. The Alpenglow Chamber Music Festival begins Saturday and runs through Sept. 21. For more information and to buy tickets, visit www.alpenglowchambermusic.org or call (970) 797-4999.